A view from the highest hill on Islay’s neighbour Colonsay, Carnan Eoin at 143m, over beautiful Kiloran Bay. This entry was posted in Beaches, Cloudy Weather, Colonsay Excursion, Landscape, New Post, Sunny Weather and tagged Carnan Eoin, Colonsay, Kiloran Bay by Armin Grewe. Bookmark the permalink. Great breach to spend a couple of hours on. The views from the hills and the dunes are good as well. 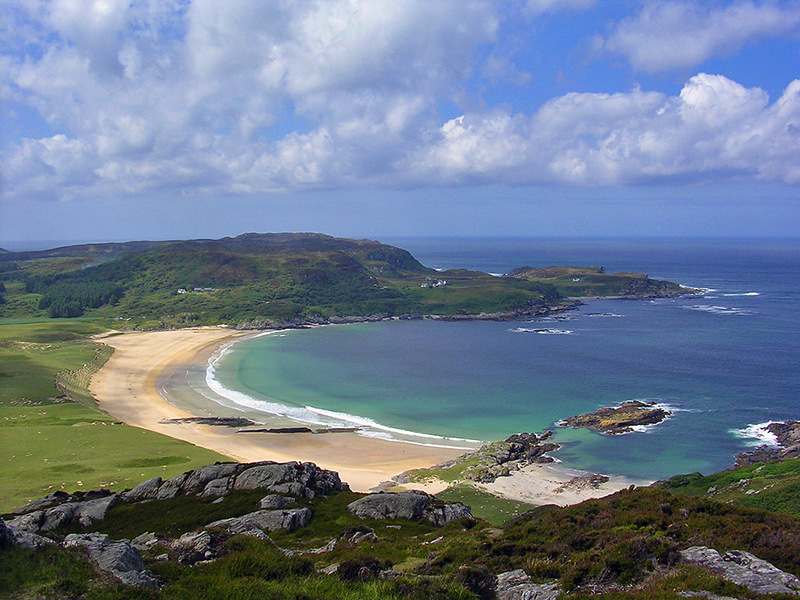 Next time you fly over Colonsay, do visit Queen’s Bay – a wee gem! Thanks Jean, that looks very interesting (had a quick google for pictures). Didn’t know about that one, definitely have to visit that next time I’m over.